Service Costs > How Much Does a UPS PO Box Rental Cost? How Much Does a UPS PO Box Rental Cost? Aside from the local post office, there are other places where you can rent a P.O. box such as UPS. If you are looking to get your mail and packages delivered away from your home with an address that looks no different than your own, then a UPS mailbox may be what you are looking for. Many people choose to rent a UPS Like renting a P.O. mailbox when they run a business from their home. This way, all of their clients and business partners will not have their personal address. Just like renting a P.O. box from your local post office, the costs will depend on the size, length of time you are renting it, and the geographical location. How much does a UPS store P.O. box rental cost? In most cases, the price of a UPS mailbox rental is going to depend on your geographical location and the size of your mailbox. On average, the longer you commit to a mailbox, the more you are going to save. For example, a one-year small mailbox can cost $125 to $150, while a large mailbox for the year can cost $250 to $300. By the month, plan on budgeting anywhere from $10 to as much as $30 to rent a UPS mailbox. Refer to our table below for the averages we had found; however, use this as a reference to budget as your prices can vary. On this Amazon Seller Central forum thread, members talked about what they had paid for a UPS Store PO Box. According to the original poster, he claimed a small box could cost upwards of $240 per year while a larger pox would cost $420 per year at his local UPS Store. Those who responded said they had paid up to $540 a year for a large box. UPS will commonly offer the following sizes: small, medium and large for the following term lengths: 3, 6 or 12-month terms. UPS offers both personal and business mailboxes. The business ones, which are more expensive, can receive both personal and business mail. A personal box, however, will not be able to receive business mail; it will be returned to sender. The UPS post office box will give you a real address with 24-hour access to both mail and package deliveries. The best thing that is offered by a UPS mailbox is an actual street address rather than a P.O. box number. This will look more professional for a business. UPS is able to accept packages from all carriers. Depending on the service you signed up for, they can send a text alert when any mail has arrived. Aside from this, you can also call into their system to see if any mail is currently in your mailbox. Premium services can include faxing, mail forwarding, and text alerts when mail or a package has arrived. Of course, every year you are going to have to renew your mailbox. A non-refundable fee of $10 to $15 may be charged for the mailbox key. If mail is excessive, you may be charged a surcharge. If you sign a contract for any amount of time and then decide to terminate your contract early, you will be charged a fee. Make sure that you check the requirements of getting a UPS mailbox. You will at least need two pieces of identification, but there may be others as well. If you are thinking about getting a P.O. box at your local post office, keep in mind that you are going to get a P.O. box number, not a real address. If you are going to have mail delivered here, keep in mind that some companies will not deliver to this type of mailbox. This, however, is not the only difference. At the post office, you will have access to your box 24 hours a day. At UPS, you will have access to your mailbox during business hours only. These business hours may vary from one location to the next and it may or may not be open on the weekends. The UPS will sign for and hold any packages that you have delivered. The post office will not accept packages from their competitors. While you are at the UPS picking up your mail and packages, you can also use services such as faxing, making copies, etc. The post office does not normally offer these services. 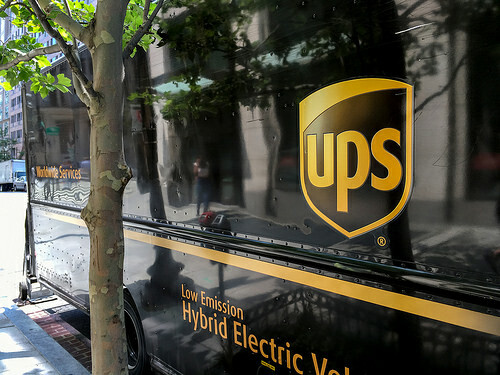 To find the closest UPS store near you, input your zip code on TheUPSStoreLocal.com. If you do not care how your address is going to look, consider comparing the rates to your local post office or another third-party mailbox outlet to see what they charge. If you do not mind the P.O. box address, it is going to be a cheaper route most of the time. If you have more than one UPS store in your area, be sure to call around. You are going to find that every store will vary in its pricing. The longer you rent the box, the more you are going to save. So if you know you are going to need the box for more than a year, it would probably be best to pay for a year’s worth of service up front. Paid $385 for a large box for a year. AND THEN SOME…for surcharge fees because of the amount of mail I was receiving. Big rip off.